The essential oil contains the ketone pinocamphone which, in high doses, can cause convulsions. Take only the recommended dose. Native to southern Europe, hyssop grows freely in the Mediterranean countries, especially the Balkans and Turkey. Hyssop is a semievergreen shrub that grows to about two feet in height, producing narrow leaves and clusters of double-lipped flowers. Depending on the species, the flowers range in colour from white to purple, pink, blue, or bluish-purple. The plant prefers sunny, dry sites and is a popular garden herb. The flowering tops are harvested when the plant is in full flower during the summer. The Greek word, hyssopos, may have derived from the Hebrew, ezob, or holy herb , as it was used to purify temples and for the ritual cleansing of lepers (Psalm 51:7). This may not have been the common hyssop, however, but rather a form of oregano or savory or a local variety of marjoram. Pliny mentions a wine called hyssopites, which may have influenced the Benedictine monks who, in the 10th century, brought the herb into central Europe to flavour their wines and their foods. Hippocrates prescribed it for pleurisy. Dioscorides recommended a recipe that included a mixture of hyssop, figs, rue, honey, and water to treat a variety of conditions, including pleurisy, tightchestedness, respiratory congestion, asthma, and chronic coughs. Hyssop is one of the most important of the 130 herbs flavouring the liqueur Chartreuse. Pinene is also used as a natural insecticide. Marrubin is a strong expectorant helping to thin phlegm and making it easier to cough up. Pinocamphone is toxic and can cause epiletic seizures. Research has shown that the mold that produces penicillin can grow on the leaf of hyssop. Infusions are used to treat throat and lung complaints, bronchial catarrh, and poor digestion and appetite. Essential oil is used in aromatherapy for bruises, in perfumes, and as a food and beverage flavouring. Poultices from the leaves are used to heal wounds and bruises. Tinctures are used in combination with other expectorant herbs, including mullein flowers, licorice, elecampane, and anise for bronchitis and stubborn coughs. Syrups for coughs and for stubborn coughs or lung weakness are made from the aerial parts or the flowers. Chest rub is made from diluted hyssop oil and used for bronchitis and chesty colds. It combines well with thyme and eucalyptus for these conditions. Infused oil can be added to the bath water for nervous exhaustion, melancholy, or grief. Gargles are used to soothe sore throats. Hyssop is used mainly to relieve coughs and airway congestion, cold and flu symptoms, to promote sweat during a fever, and to repel moths and other insects. The odor of hyssop is reminiscent of camphor. The herb encourages mucous production while, at the same time, stimulates expectoration, making it invaluable in upper respiratory congestions that requires clearing the airway of congested phlegm. However, since it can irritate the mucous membranes, it is best to use it after the infection has peaked when the herb's tonic action encourages a general recovery. It is an effective sedative and is useful in treating asthma in children, as well as in adults, especially when the condition is exacerbated by mucous congestion. Young hyssop leaves have a minty flavour used in tea, salads, fruit soups, and as a substitute for sage in some dishes. 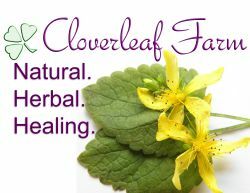 Its strong volatile oils are effective for indigestion, gas, bloating, and colic. Hyssop can be used to help heal minor burns, bruises, and skin sores. By moistening the leaves and flowers, they can be placed directly on the skin or between layers of cheesecloth to make a poultice. Infusions can also be used topically, as a wash, on these conditions. To make: Place two teaspoons of dried hyssop inTO boiling water and steep for fifteen to twenty minutes. When cool, strain. Soak a clean cotton cloth in the solution and then place on the affected area as needed.